Limmud FSU Family-Time To Come Together! 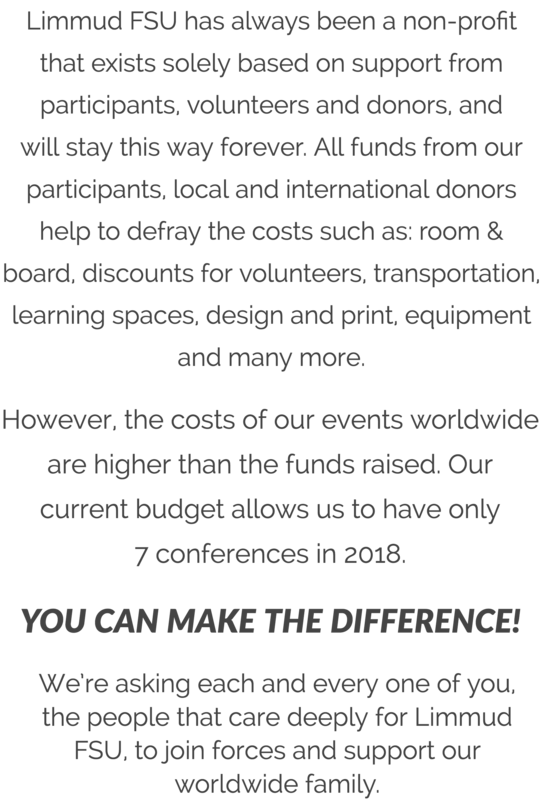 Want to support specific Limmud? For Bank Transfer donations: Account Holder - Limmud FSU International Foundation Inc.
Limmud FSU is a US 501(c)(3) registered charitable organization. It operates in the USA and throughout the world through the Limmud FSU International Foundation, Inc. As required by the IRS, we will acknowledge your contribution in writing.